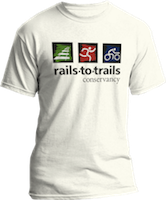 Become a Member to support Rails-to-Trails Conservancy’s work to build, maintain, defend and connect trail corridors across the nation. 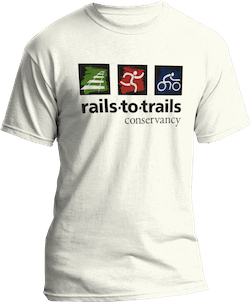 Give $18 or more and your yearlong membership includes an exclusive member T-shirt, four issues of Rails to Trails magazine, reduced prices on rail-trail guidebooks and much, much more! How would you like to join?